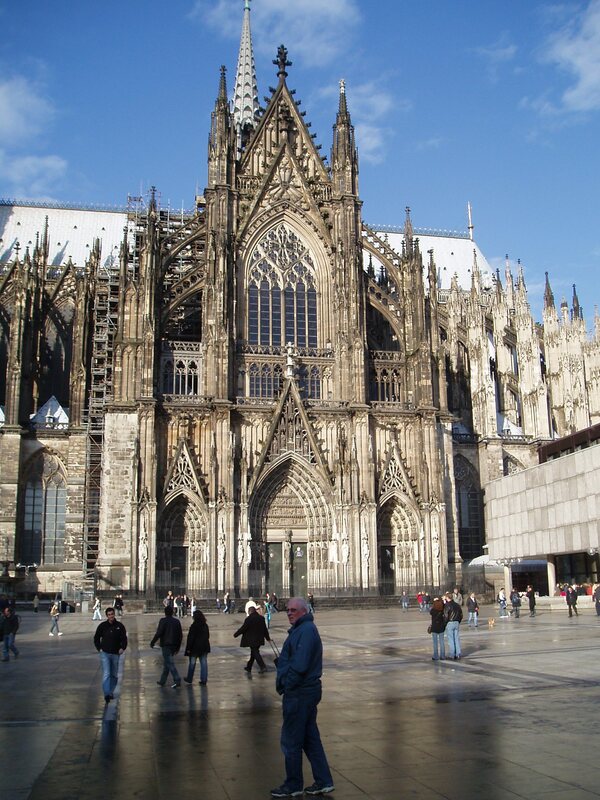 Cologne was mostly completely bombed in the war and has been rebuilt, with the exception of the cathedral which remained standing. It is spectacular! We had a nice time walking the streets and finding yummy places to eat – a real international feel with us eating over the few days, German, Thai and Italian food. All scrummy! One restaurant already had its Christmas menu up – have a look. 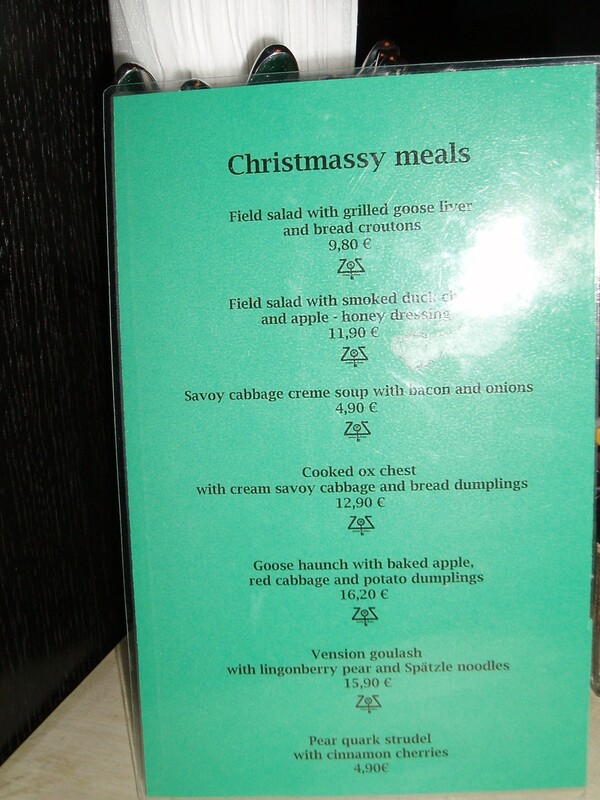 A bit different than a NZ Christmas menu. After Cologne a few hours and voila! We arrived in Brussels. 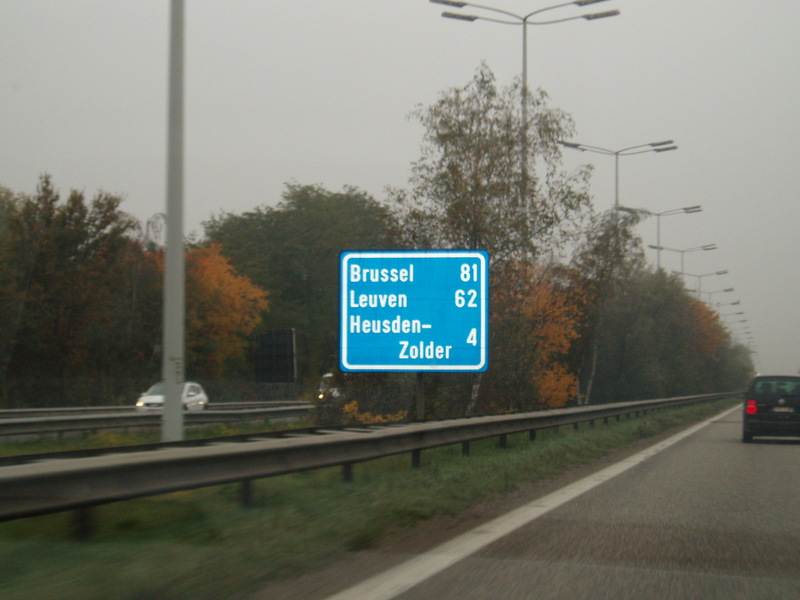 We were surprised to find there are 3 languages here – Flemish, French and English. Made for easy communicating for us! We stayed in a very flash hotel that we got for ¼ of the rack rate, by booking late. We really enjoyed the little luxuries of the pool with a swim jet so you can swim and swim against the jet and you go nowhere, scrumptious linen and wonderful staff. 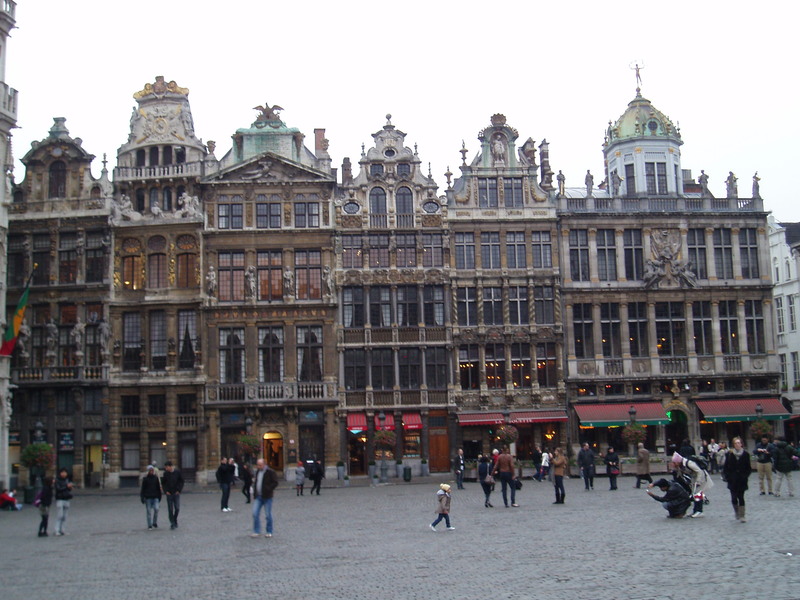 Brussels was beautiful in the old town. 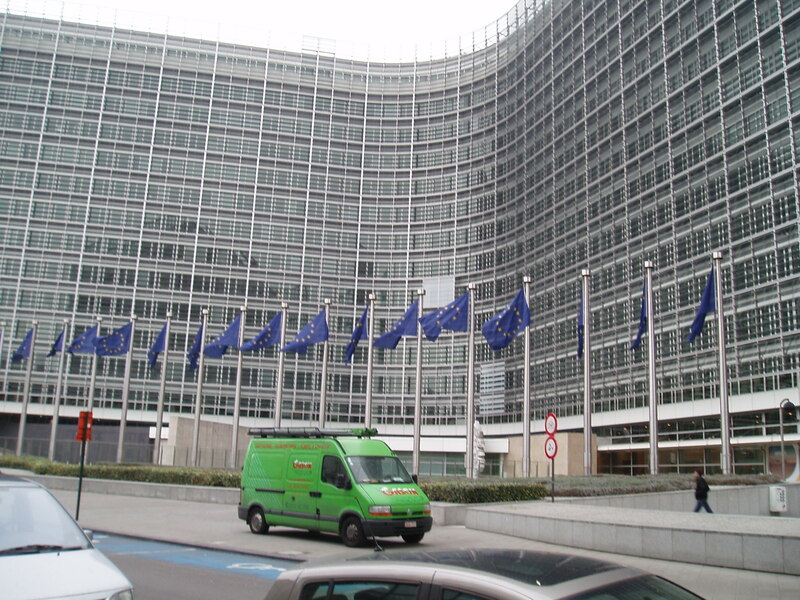 The rest of Brussels is very commercial and also has the EU Commission there. Spectacular building I must say. 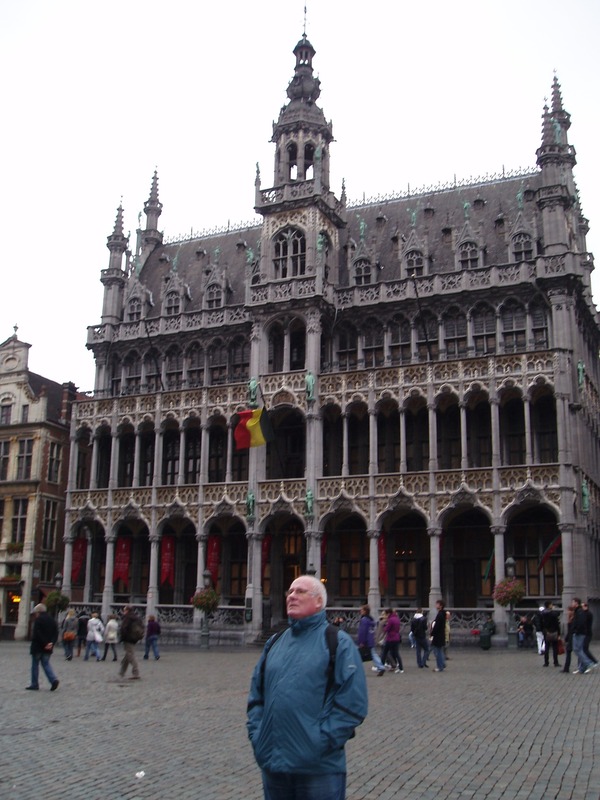 I think the square / plaza in Brussels is the most beautiful I have seen on our travels. And that is saying something. I stood for ages just drinking in the beauty of the buildings. And of course, there is the chocolate!!!!!!!!! 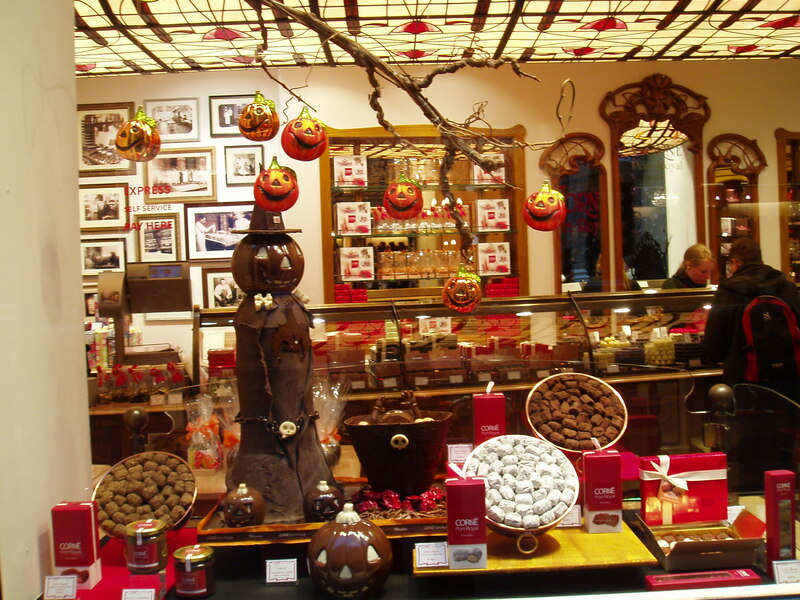 Wow – shop after shop full of designer chocolates. And wonderful window displays. It was Halloween (which surprisingly to us is very BIG over here) so lots of windows had the Halloween theme. 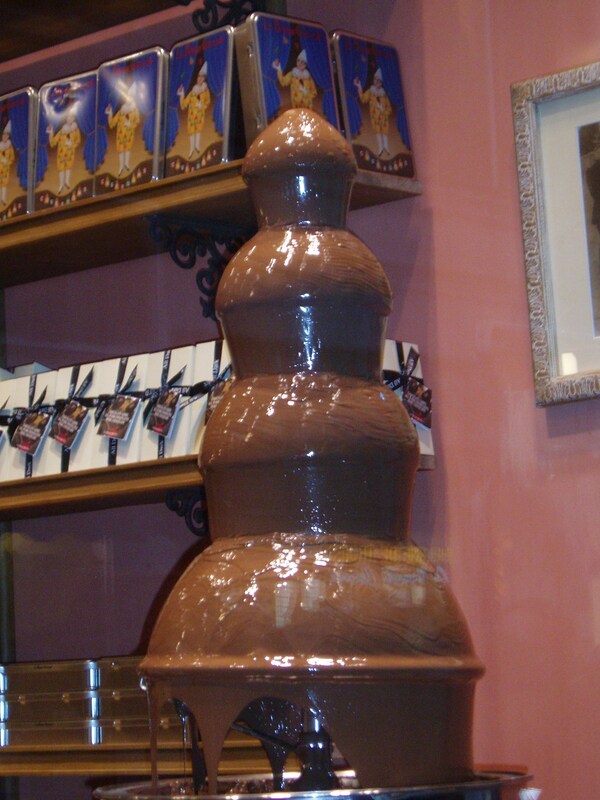 And lots of shops had these chocolate waterfalls…………. 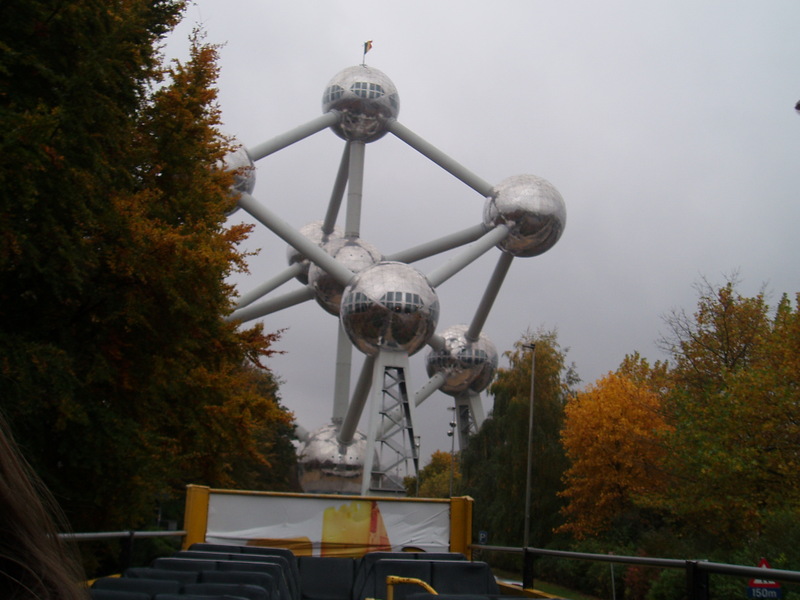 We did the Hop on Hop Off bus and got to see the amazing Atomium – 102 meters tall and built in 1958 to celebrate Peter’s birth. Well actually it was built to celebrate the 1958 Trade Fair in Brussels. Each sphere has either a museum or restaurant in it and a lift goes up the central core. Amazing! 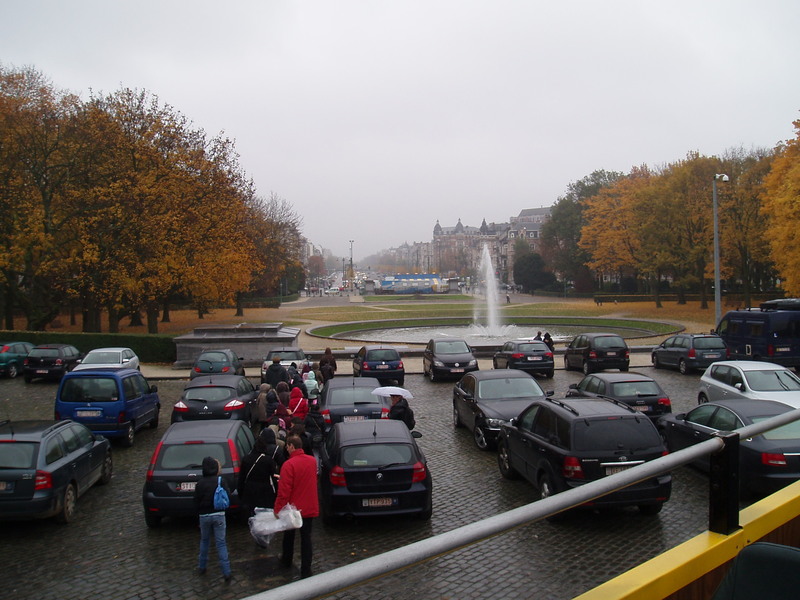 We dropped the car off in Brussels – we had had it since we picked t up in Toulouse in mid August. So was a bit sad to say farewell………… but we got over it! Caught the Eurostar train from Brussels to London – only about three hours and under the English Chanel too! We then had three days in Brighton and it was lovely to spend time with Kate again. And I got to COOK again. Magic!! I have really missed cooking – even whilst enjoying all the fruits of others’ labour. Saturday morning we left Brighton heading to London for the first of the four All Black games in the Grand Slam. Got ourselves to Benedict’s house to drop our bags off and then left heading to Twickenham for the game. Phew! Were those trains PACKED!! I have never aspired to be a sardine but it was good practice in case I change my mind in the future! I have to say there were not many female sardines on board. 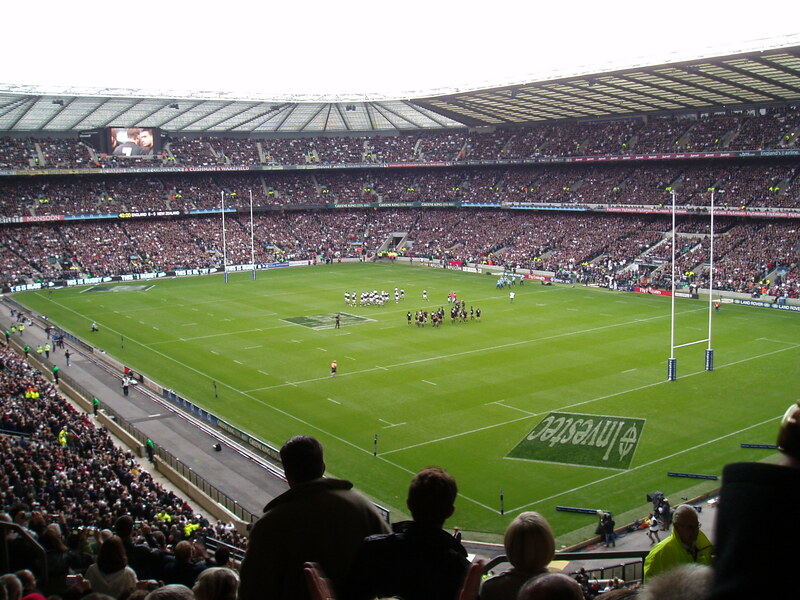 Twickenham was amazing – 80,300 people in the stadium. Just being there was a real experience. We didn’t like the way the English booed when the All Blacks ran on to the field, nor when they sang at the top of their voices during the haka. But then again, we still won the game!!! And on Peter’s birthday too! All Black haka at Twickenham - 80,000 people! Saturday night our friend Ajay arranged for Benedict and us to go to a private night club near where Benedict lived. Unfortunately there was a bit of tiredness that night so we didn’t go. But the offer was so kind. Sunday dawned and thank goodness it was fine weather. 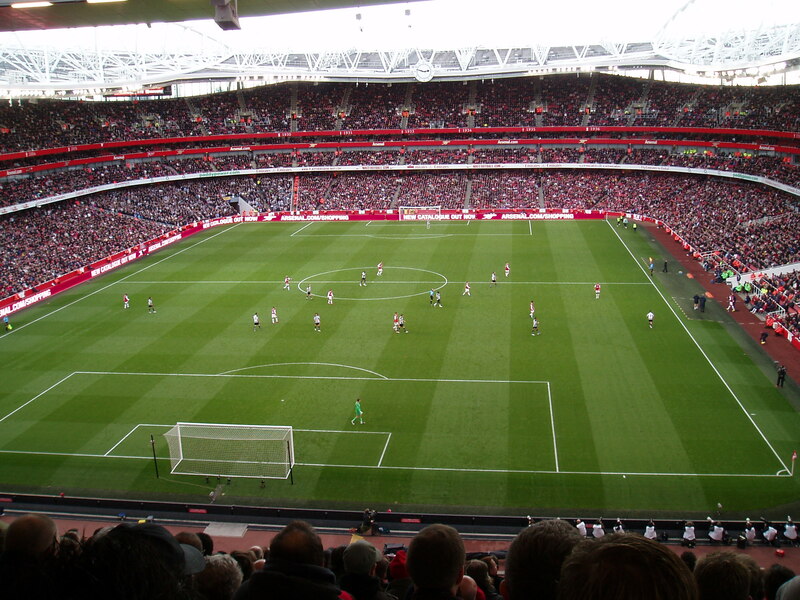 We left home at 9am to catch trains etc to get to Ajay’s part of town to pick up tickets he had, once again, kindly arranged for us to attend a Premier League Football game – Arsenal vs Newcastle. After a coffee and a catch up with Ajay back on the train to Arsenal. Now, the football versus the rugby is a different kettle of fish altogether!!!!! So we got off the train and had a walk of only say, 8 blocks to the Arsenal Emirates stadium. We had planned to stop off for a bight of lunch on the way. 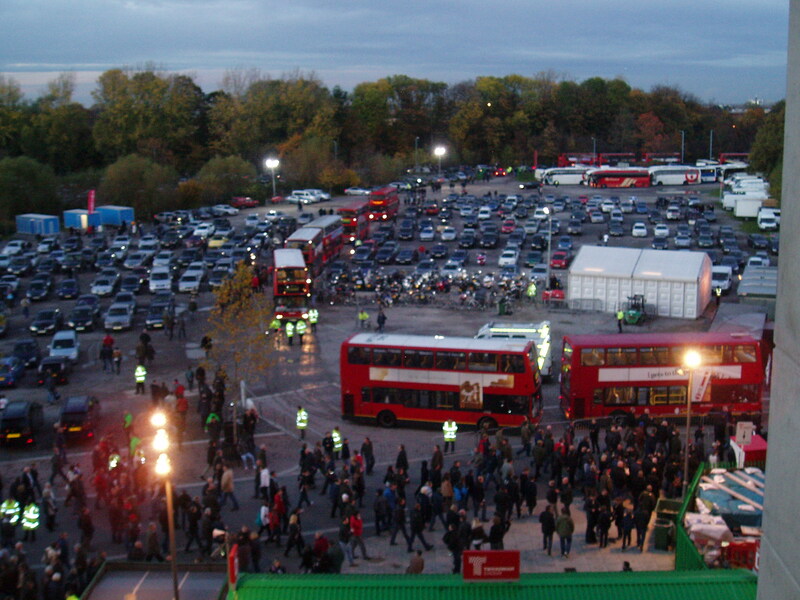 The pubs and restaurants all had signs out saying “Arsenal Supporters Only”. So we went to go in to one and got stopped by a VERY LARGE bouncer and asked to prove we were Arsenal supporters. “How do we do that?” we naively asked. He suggested showing our seasons tickets or something similar – which luckily we had some! So we got in and lunch we had! The stadium held 60,000 – phew! And, a few more things for us to learn re the difference between football and rugby. First, no alcohol allowed in the stand. Even though we had bought a beer and a wine, served in plastic cups about 10 minutes before kick off no one had told us. And then in the stadium – off the 60,000 people only a tiny section is allocated to the away supporters and they were surrounded by security guards. And what emotion from the home supporters. We thought some were going to cry and some were going to leave to kick something. Arsenal lost. From my point of view not a nice “sporting” environment at all. Monday night we had dinner with Ajay at a lovely Thai restaurant. 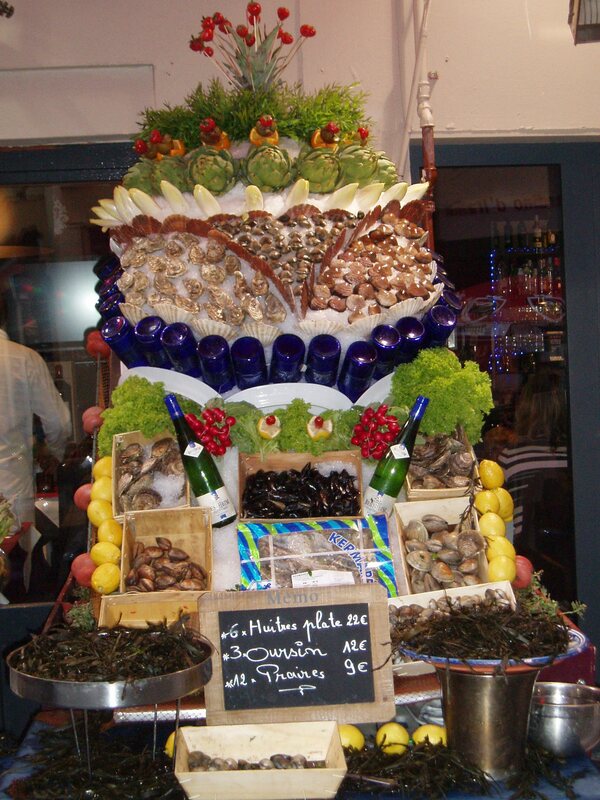 Nice to be able to get all this good fresh food. Tuesday we packed up and left Benedicts to go and stay with Robyn and Grant in Camden Town. When they arrived adfter work we all went to a wonderful local Indian restaurant – probably the best Indian I have ever had. 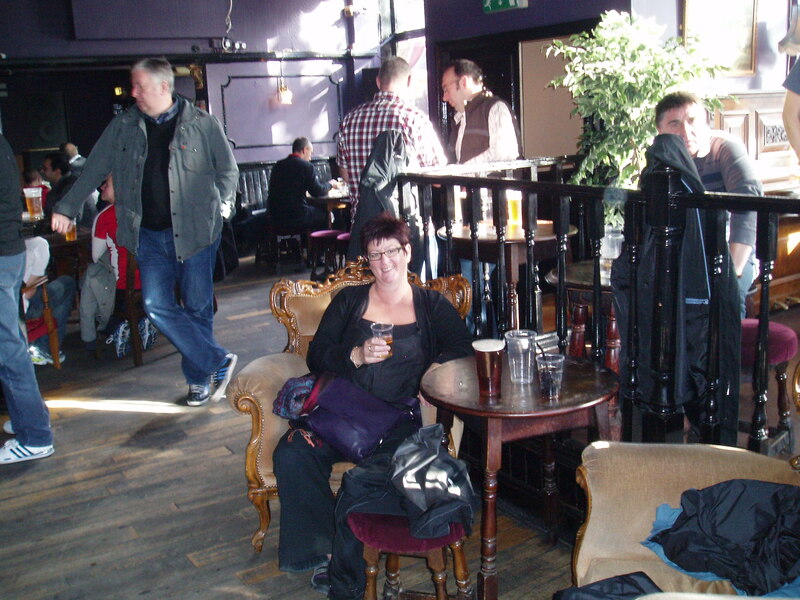 Wednesday we went to have a look at Camden Market and then in to town to Harrods, Oxford Street etc. So busy! And not even Christmas season yet. Unfortunately just when you don’t want the sun to shine so you can see the Christmas lights up Oxford Street, it was a stunningly beautiful day! That night we met up near Robyn and Grant’s with Peter’s niece and cousin and Robyn and Grant for another wonderful meal. A good night catching up with everyone as it turns out Robyn and Sarah had met as kids years ago! Thursday was WET, WET, Wet and that’s the weather not the band. We went off to Covent Garden and West End to see the show War Horse. It was amazing. Life size horses made from puppets, three people to work them. Other actors riding them. Such a sad and happy story. That night once again, we met up for a dinner with friends from NZ who are living in London. As it turns out the restaurant they had chosen, Robyn’s brother had helped set up so we had a great night with great food, excellent staff, plus the bonus of NZ wine! As I write we are on a train to Edinburgh, for the second o f the All Black games. The trains are so fast and provide food, drink etc. Very civilized. Not to mention this internet access too! Hope all is well in NZ and that spring has really kicked in. 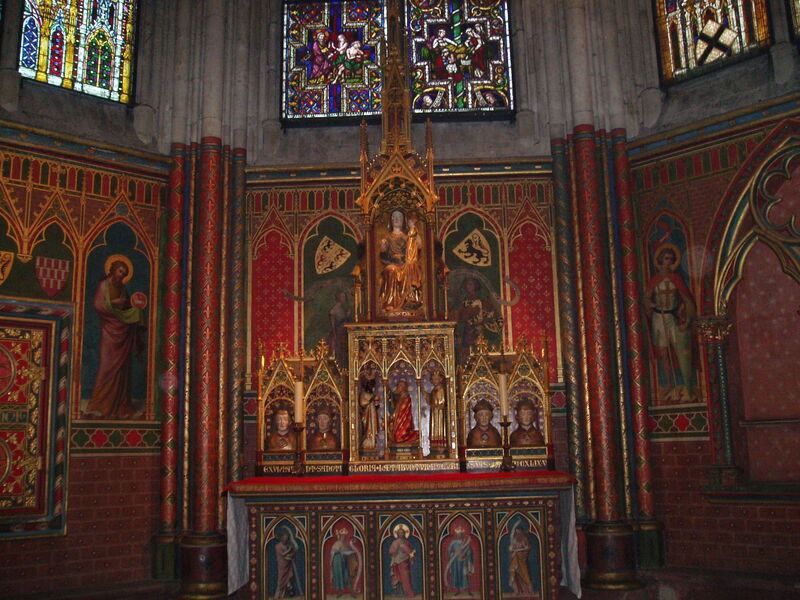 This entry was posted on November 12, 2010 at 2:39 pm and is filed under Uncategorized. You can follow any responses to this entry through the RSS 2.0 feed. You can leave a response, or trackback from your own site.